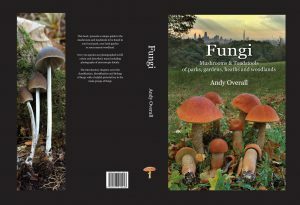 Hampstead Heath is Andy’s ‘local patch’ and ever since the mid 1990’s, Andy and the LFG have been recording the larger fungi of the Heath. From 2007 onward, concentration was centered upon the Kenwood Estate. The recording has taken place during forays, workshops and private visits. The current total stands at 582 species which includes species new to Britain, plus rare and seldom seen species as well as most of the more common taxa. The database below shows each of those species recorded from 1997 to 2014 unfortunately the uploaded sheet stops at 2005, due to constrictions herein, but the list is up to date and to be continued. The majority of the species are hyperlinked to the British Basidiomycete Checklist held at Kew, which will give the reader further information about the particular species they have clicked upon, such as any synonymies, habitat preferences, general distribution and current status. Please note that this only applies to basidiomycetes, so any ascomycetes on the list such as, Peziza or Morchella will not be hyperlinked. Select the link below to view the database. During 2013 into early 2014, Andy completed a larger fungi survey of the Hampstead Heath Pond chains. This was in relation to dam works being carried out around the ponds. The resulting reports can be found below. This includes rare species found, including one species new to Britain. Please note that the species new to Britain, Cortinarius irregularis-nomen dubium (an historically dubious name) which is featured on the front cover of the addendum, was eventually determined via DNA sequencing, as Cortinarius nolaneiformis. Which incidentally, is still new to Britain.